WELCOME TO PURIGENE ONLINE SHOP! Helping People of All Ages to Maintain Good Health. Purigene Sdn Bhd came into conception in 2014, forming from the desire of its founders to provide consumers with high quality products. Its founders have over 40 years of combined experiences in the food and beverage industry. We are the manufacturer and the sole distributor of PURIGENE Classic Botanical Beverage Mix in Malaysia. Purigene Sdn Bhd, being a new company, aims to bring our finest in through our experienced and dedicated team. Besides our main product, we are currently producing a range of products for our third-party business partners as well. We embraced advance manufacturing techniques into our production processes and implement stringent quality control and hygiene standards, in accordance to the requirements of Ministry of Health (MOH), Malaysia in our manufacturing facility. We are certified Halal by Jabatan Kemajuan Islam Malaysia (JAKIM). We strive to uphold good manufacturing practices in producing the finest products that are beyond the required standards. Since early 2016, we have adopted a new tag-line: ‘be livin it!’ This tagline brings the message that we believe in and we will be living up to our goals, vision and mission of the company. Our business has been growing steadily and from here on forth, we will be focusing on international markets in the Asia pacific region. An undeniably passionate man for good and tasty foods, Mr James Tean has over 40 years of experience in the field of research and development on food ingredients, their nutritional values and taste. His career kick-started with Nestle Malaysia, as a food taster for Maggi Instant noodle department, and within a short span of time, he has mastered food tasting techniques, amongst many other skills. 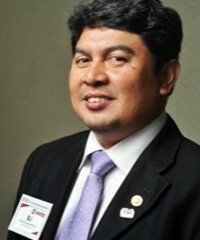 In 1978, he started up Region Food Sdn Bhd, in which he researched and developed authentic oriental and chilli sauces. 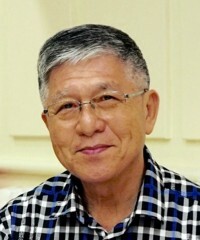 His work bore fruits with the LIFE Chilli Sauce brand, which is now served exclusively in KFC and Pizza Hut in Malaysia and within the South East Asia region. Between 1984 and 1998, he founded Jaster Food industries Sdn. Bhd and Suntraco Food Industries Sdn Bhd, furthermore establishing brands such as Claypot, Tean’s Gourmet & Uncle James, which are now recognizable brands in Malaysia and exported to all over the world. In 2014, he founded Purigene Sdn Bhd, establishing our very first product of Purigene Classic Botanical Beverage Mix. He is an associate consultant with the Ministry of Health (MOH) Malaysia, and have been an accredited Trainers and Training Provider since year 2004. He holds a Bachelor in Applied Biology (Entomology), from Universiti Sains Malaysia (USM). He is currently an accredited trainer for Food Handling & Safety (MesTi, GMP, HACCP, ISO 22000) and a trained consultant on JAKIM Halal Best Practice. He is currently appointed as an associate consultant to Purigene, assisting mostly in certification programs on MesTi, GMP, HACCP and ISO 22000. 09 Jun How To Overcome Fatigue Problems? PURIGENE SDN. BHD. © 2017. All Rights Reserved.